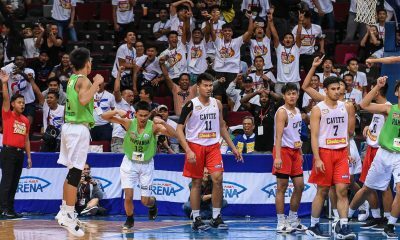 National University-Manila followed up their 90-point rout to start the 2019 Chooks-to-Go NBTC League National Finals presented by SM, dominating the Calayan Educational Foundation-Lucena, 120-56, Wednesday afternoon at SM Mall of Asia Arena. 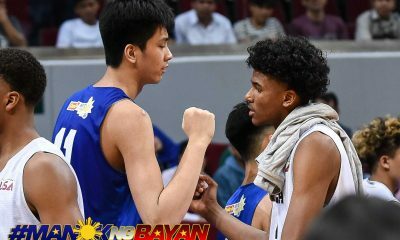 Terrence Fortea waxed hot for the second straight game with 28 points built on seven triples to go along with four assists and three rebounds. Backcourt partner Gerry Abadiano also added 15 markers and four dimes. As a team, the Bullpups made good on 58 percent of their field goals, most of which came in transition, where they mangled their opponents, 28-2. 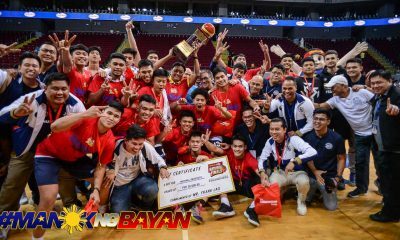 They would never trail until the final buzzer, continuing their quest for historic back-to-back titles in the national championship for high school. National U have imposed their will on their first two opponents by an average of 77 points. “Right after UAAP, huminto kami for a while. 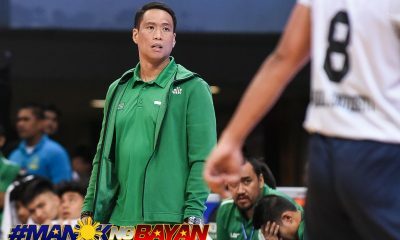 So good for us na going towards next games namin, maganda tinatakbo namin in the first two games,” head coach Goldwin Monteverde said. The UAAP champions move on to a match-up opposite MMBL runner-up Letran in the Fantastic 8 on Thursday. Meanwhile, La Salle Green Hills-Mandaluyong made quick work of Camp David-New Zealand, 102-80. RC Calimag starred with 21 points. He was backstopped by Inand Fornilos, who posted a 15-point, 10-rebound double-double for the Greenies, who return to the Round of 8 for the third year in a row. Also into the Fantastic 8 is Top Flight Hoops-Vancouver which continued its stellar maiden campaign in the tournament by booting out NBTC Cebu champion Southwestern University, 83-81. Jerric Palma top-scored with 22 points off the bench. Kit Miramor chipped in 19 markers and seven rebounds for Vancouver, who had to survive the Baby Cobras’ late rally before punching their place to the next round. 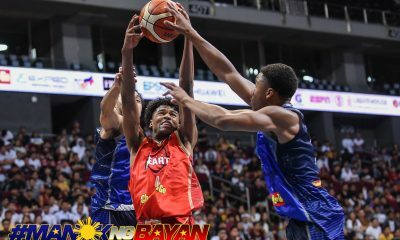 Harvey Sanchez showed the way for the Cebuanos with 16 points, five rebounds, and four assists, while Reimar Cruz paced the Kiwis with 21 markers, five boards, and five dimes. 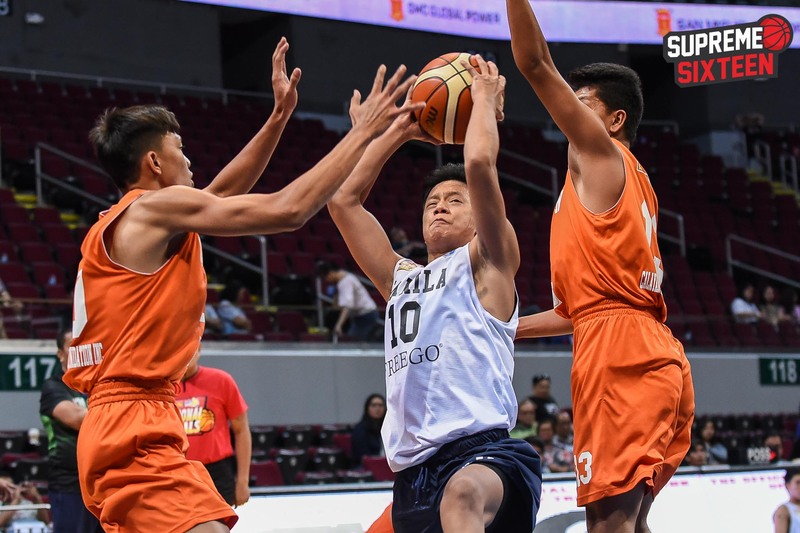 In the Division 2 Supreme 16 over at the Palm Coast Marina, Lyceum-Cavite sailed past Perpetual JONELTA-Laguna, 80-69, and into the next round; while St. Louis School of Don Bosco-Dumaguete also downed University of Baguio, 75-60. Proudly Pinoy-Italy edged out Isabela Colleges-Cauayan, 83-80, in overtime. 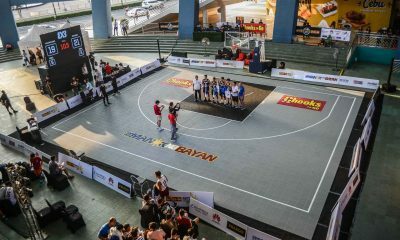 The tournament is presented by Chooks-to-Go, Darlington-Exped Socks, EPSON, Huawei, Freego, Purefoods, Gatorade, Go for Gold, SM, Molten, and presented by 5Plus and Lighthouse Events.